Holiday insurer Staysure is pleased to announce that the Karuri Project has been selected as its ‘International Charity of 2017’ and are hoping to raise enough money this year to enable four purpose built classrooms to be erected. To support the project, Staysure employees Mickey Ncube, Natasha Horne and Lorraine Acton are flying out to Kenya on 11th June to spend a week helping at the school. They will carry out activities such as painting the existing school classrooms, teaching the children English, motivating the children and staff in any way possible and playing games – all while sleeping in the school to maximise their time there. The team, along with Staysure, is also running a fundraising campaign with a target of £11,000 that will be used to replace the current temporary buildings with four purpose built classrooms. Staysure will also be supplying seven computers to the school, with one of the team on hand to teach essential computer skills. The fact that they will soon have computer access opens up a new world of possibilities for the school and the children. The Karuri School Project is an ambitious attempt to bring education and a safe haven for children in a remote area of Kenya. It is the dream of one woman, Wangari Cecilia Karuri, who has experienced first-hand the shocking effects of poverty. This amazing lady has, over the past few years, saved every penny she possibly could in order to fulfil her vision and at this moment in time has been able to buy the land and erect several classrooms. Unfortunately some are far from ideal and are just modest temporary wooden huts, without permanent floors which are now in need of substantial repairs. In addition to this, the provision of clean water and the safe supply of electricity are two continuing priorities. 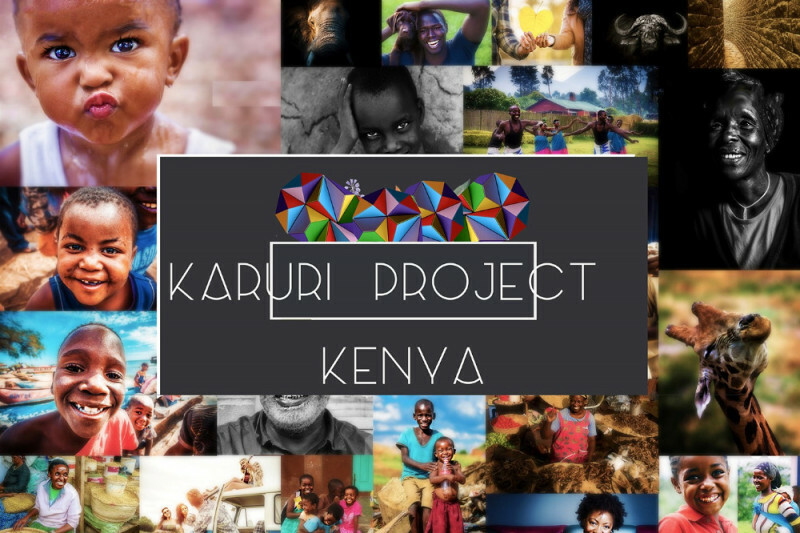 The Karuri Project was set up to provide education for orphaned and destitute children, and Wangari currently has over 120 day students attending with half of the children now living at the orphanage. You can follow the team’s work on Facebook and donate to the cause using the GoFundMe page. The Karuri School Project is now a Registered UK charity (no.1139387) which was set up by a trust in the Northampton area. You can donate to the cause using the dedicated GoFundMe page.